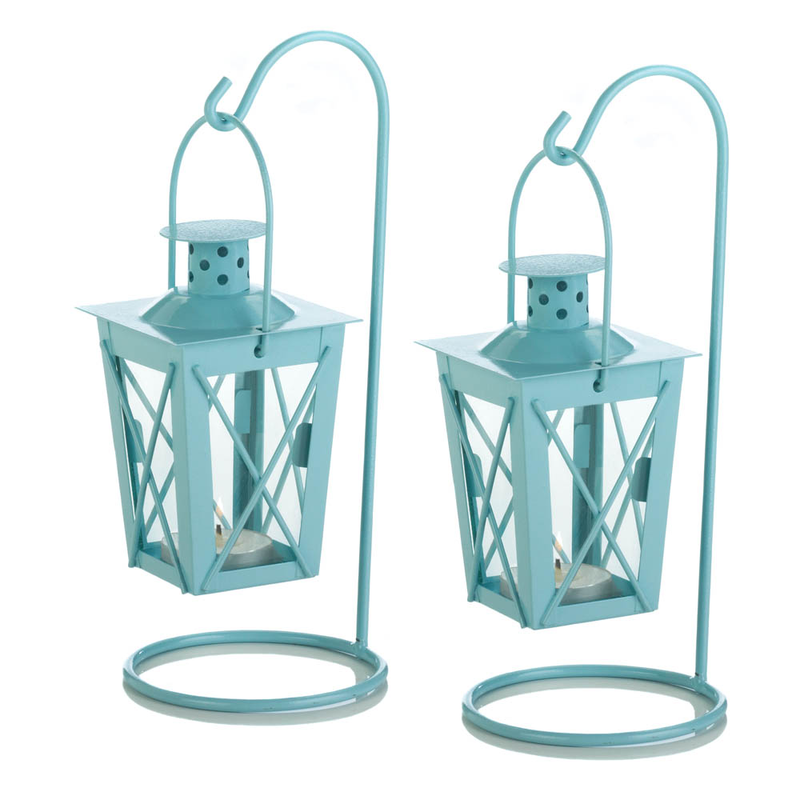 Soft candlelight and soft blue coloring makes this pair of iron hanging railroad candle lanterns a must-have for your tabletop. They’ll look great on your hall table, credenza or buffet, and also make a great decorative addition to a baby shower. Item weight: 0.9 lb. Iron and glass. Candles not included. 1 pair. UPC: 849179026417.